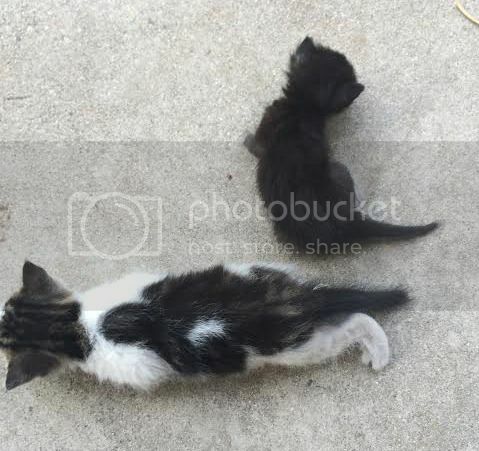 I am helping someone find homes for 2 kittens with twisted front legs that she just found 2 days ago. 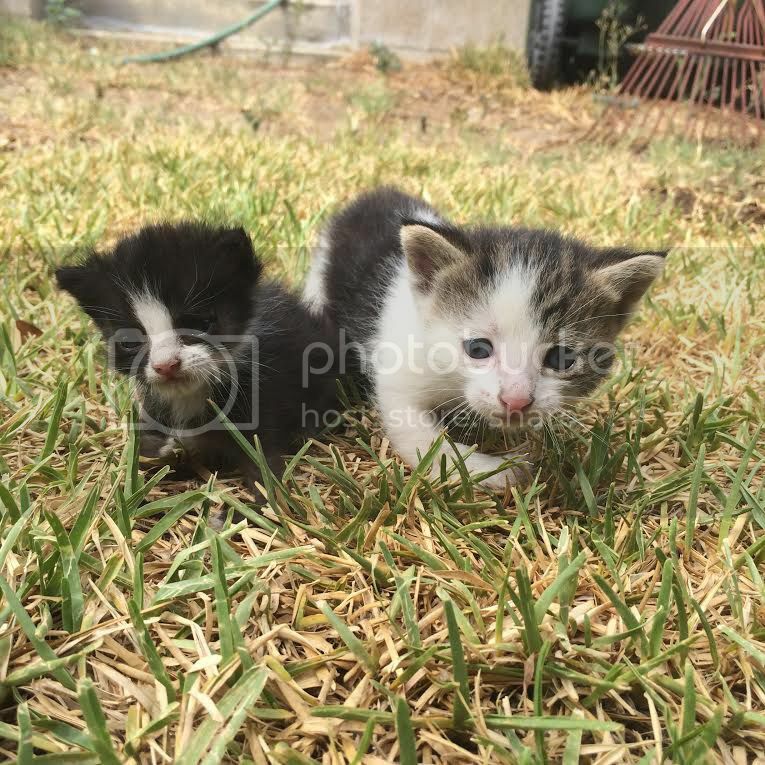 The kittens are approx 4 weeks old (guestimated), born to a feral mom, and are located in Rialto CA. The smaller kitten is much more affected than its larger brother. If you know of any local rescue groups who take in special needs kittens, or if you know of anyone who is interested in adoption, please let me know and I can forward you the good Samaritan's phone number or have her contact them/you. I would be very interested in taking these kittens. I have a rear paralysis kitten. Do they seem to be able to walk at all? atr there any close up pictures of the legs? Scootsmom. Most RH/RA babies get around OK after they learn how. Some walk upright, for instance. Quite a few become less bent as they grow up, but I'm not so sure the little black and white baby in the first pic will outgrow it. The tabby/white might, especially with that right arm. 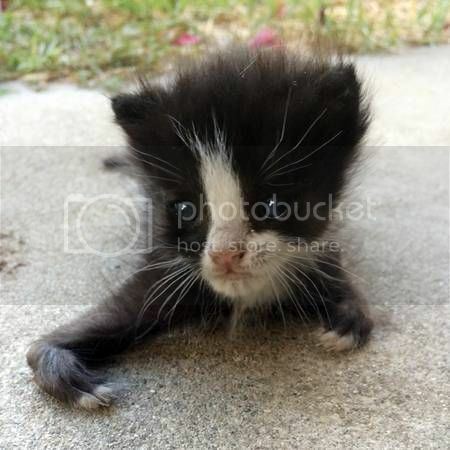 Sadly, I just received an email from the good Samaritan that the little kitten has passed away. The larger sibling is doing well, and she is trying to find out if a rescuer who was going to take both kittens will still take just the larger one, who is less affected. for the update. Poor little baby!